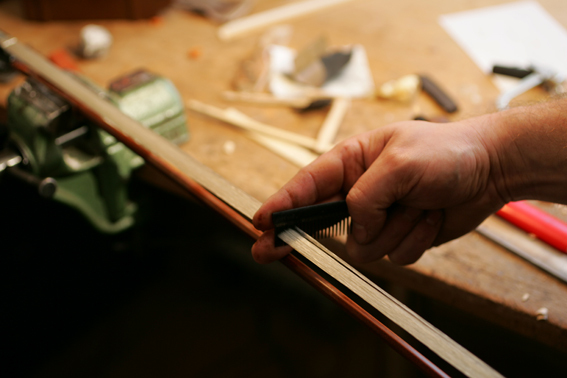 Ideally, your violin, viola or cello bow should be rehaired about once a year. 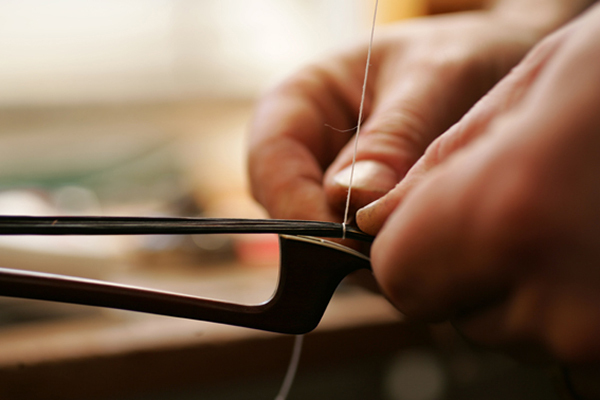 In most cases you can drop off and pick up your bow at our studio in Munich-Pasing on the same day but for particularly urgent matters, make sure to call us first. We can, of course, also lend you a bow. 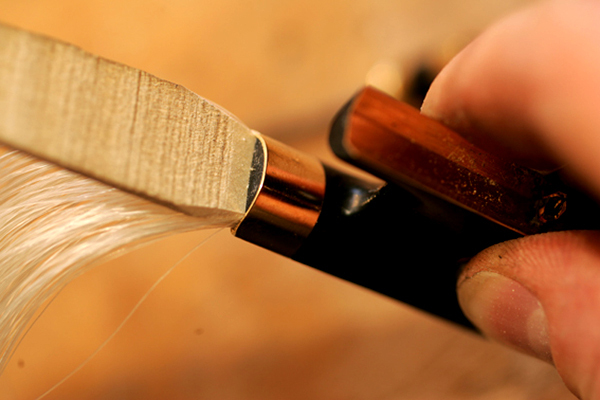 We generally use top quality unbleached white horse hair from Mongolia; bass bows tend to be rehaired with white, but also black Chinese hair.